You care about the quality of the picture on the display? And is it worth it to overpay in this case only one screen? Modern smartphones are increasingly being used for games, watching videos, browsing, navigation and other tasks. Therefore, a special demand model with a large display and the appropriate resolution, that the picture was detailed and of good quality. The company Oukitel presented cheap U11 Plus, equipped with a 5.7-inch display with Full HD resolution and 4 GB of RAM. 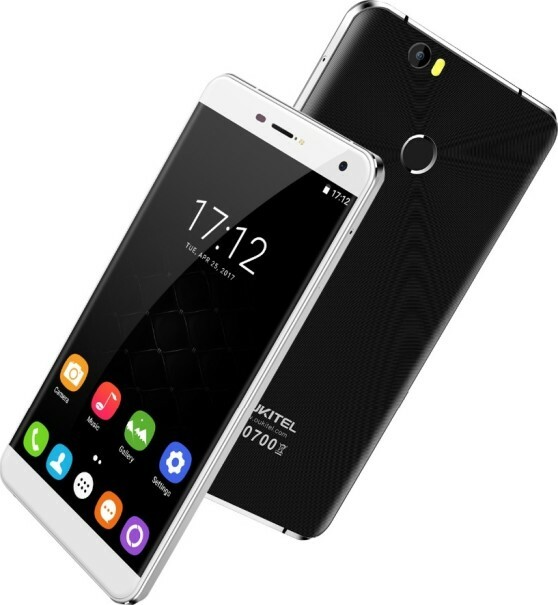 For its price and with such features Oukitel U11 Plus has no analogues on the market. Most of the entire front side is a large 5.7-inch LCD display with a resolution of 1920×1080 pixels from the company AUO. It is covered with a 2.5 D glass with curved edges produced by the Japanese company Asahi Glass. The display is enclosed in a housing with a sturdy metal frame and back cover made of polycarbonate with a textured surface. The large screen with high resolution involves the active use of the smartphone, which means it should have adequate performance. In Oukitel U11 Plus installed OCTA-core MediaTek processor MT6750T, running at a clock frequency of 1,5 GHz and 4 GB of RAM. For storing apps, photos, music and other data provided 64 GB of internal memory expandable with cards of the format microSD up to 128 GB. Battery capacity of 3700 mAh, according to the manufacturer, enough for a whole day of normal smartphone usage or 36 hours of music listening from the internal speaker. If necessary, available to the user enhanced power saving mode to prolong the work time. In addition, the smartphone supports fast charging. Also, the manufacturer focuses on the photo capabilities of the product. In Oukitel U11 Plus the main and the front camera have a resolution of 16 megapixels (interpolation 13 Megapixel). Due to this, the resulting images must be different good detail. In addition, both cameras have flash so you can shoot in any conditions. The smartphone has a fingerprint scanner for personal data protection and fast unlock without a password or a pattern. The device comes preloaded with latest version of the Android operating system 7.0 Nougat. From 15 to 22 may Oukitel U11 Plus available for pre-order at a reduced price – less than $160. You are reading an article on the Oukitel U11 Plus – wide Full HD screen and 4 GB of RAM at an affordable price. All materials on the site Gadgets F, а также и статья Oukitel U11 Plus – wide Full HD screen and 4 GB of RAM at an affordable price - written for the purpose of information enrichment and we are happy if you like our magazine.